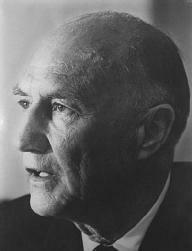 While serving as superintendent, Thurmond studied law under his father, who had become a state judge. In 1930, Thurmond was admitted to the South Carolina bar. He became a full-time attorney in 1933 and soon became county attorney. It was then that Thurmond decided to pursue a political career. He was elected as a state senator in 1933, serving until 1938, when he gave up his office to accept an appointment as a state circuit judge. He took a leave of absence in 1942 to serve with the 82nd Airborne Division during World War II. A nostalgic reference to Thurmond's past became the subject of controversy when staffers and friends held a 100th birthday party for him in December 2002. At the party, which was attended by numerous current and former staff, legislators, and lobbyists, Republican Majority Leader trent lott hailed Thurmond and stated that if others had followed the example of Mississippi and voted Thurmond president in 1948, the country "wouldn't have had all these problems over all these years." Lott's remark about the days of the Dixiecrats and the platform of segregation proved so controversial that Lott was forced to resign his position as majority leader. Thurmond was in such frail health that it was unclear whether he was aware of the impact of the event. His health failed to improve over the next several months, leading to his death on June 26, 2003, in Edgefield, South Carolina. Bass, Jack, and Marilyn W. Thompson. 1998. Ol' Strom: An Unauthorized Biography of Strom Thurmond. Atlanta: Longstreet. Butterfield, Fox. 1995. All God's Children. New York: Knopf. "Strom Thurmond." 2003. CNN.com: Special Report. Available online at <www.cnn.com/SPECIALS/2003/special.strom.thurmond> (accessed December 16, 2003).